Amongst Contractor Accountants in the United Kingdom, DNS Accountants is a name to be reckoned with. What started as a one man accountancy practice back in 2005 has by now claimed many international laurels to its name. Major businesses, start-ups and sole traders (freelancers and contractors) are the main client base of DNS Accountants which employs more than 90 accountancy experts today. It is one of the most customer oriented accountancy, tax planning and consulting services company in the United Kingdom. The team at DNS is a highly qualified and dedicated one, with passionate employees serving clients since 2005. DNS Accountants started off one fine morning in 2005 as a conventional practice with a lot of potentials. DNS rapidly developed from a passionate whim into an award-nominated accountancy firm with its own cloud-based online accounting software. In 2007, the small scale company transformed into a Full Time Accountancy Service. A humble small office space was acquired. DNS developed a strong team of young and enthusiastic accountancy professionals to serve clients across various domains. From 2008 to 2012,DNS has developed a number of internal features to deal better with customers and clients. For example, our online accountancy software is a real boon for customers working from home, and our ever-friendly customer support center is just a call or an email away. DNS Accountants has been acknowledged in the business world with multiple laurels coming our way since our inception. Sumit Agarwal, the founder of the company, won the Young Entrepreneur of the Year Award in 2012. The award was sanctioned by the Indo-British Business Forum at House of Commons. In 2013 DNS was nominated for as many as four awards in The British Accountancy Awards of which we won the prestigious Online Accountant of the Year award. Awards and recognition haven’t stopped flowing in henceforth. We also have of 4 Founder Franchisees resulting in what can be termed as a huge and successful team of tax accountants and chartered accountants in Luton. What’s the business scenario at Luton? Being a large town in Bedfordshire, England, Luton’s economy holds a fair share of the country’s economic growth and development. The town boasts a 63% employment percentage, with a mere 5% being unemployed. Luton’s main business lies in car manufacturing and engineering. Recently, private and public sector service firms are opening their gates in Luton, notable amongst them being EasyJet, Monarch Airlines, Impellam Group and others. The town is witnessing new employment opportunities for both its young and experienced population. At DNS, employees are motivated and driven by Innovation, Technology, and People. If there is even one customer who isn’t satisfied with the service provided, our entire team starts remodeling and restructuring the strategies so as to not allow for even an ounce of discomfort to the clients. 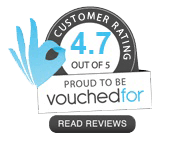 This is what makes us one of the Best Contractor Accountants in Luton. Our flexible modes of online and offline accounting have earned us the tag of effective Online Contractor Accountants in Luton. A major development that begs more attention is how we continue to bring out new services for new genres of clients every few weeks. The most recent such initiative is the Business Start-up Service. To address the myriad challenges faced by young entrepreneurs, DNS Accountants came up with the perfect service package encompassing a number of smaller services to make life easier for these passionate and young businessmen. Professional Indemnity Insurance Cover is to provide companies with insurance against unforeseen legal actions by the respective company’s clients. Why do I/we need Professional Indemnity Insurance? For companies providing advisory services or acting as consultancy companies or handling intellectual information on behalf of clients, there’s always a risk of being sued for misrepresentation of facts or negligence by their customers. Even if the company is not at fault, the company has to go through the courts to settle such issues. The legal costs of such procedures may touch the sky. Hence, DNS provides the Professional Indemnity Cover to ensure your company against such eventualities. Why should I/we approach DNS for my/our Indemnity Cover? DNS provides the best services at the most competitive service fees. Experience matters. At DNS, your case is assured of being handled by professional Tax Accountants in Luton adept at their job. DNS does the job of comparing quotes from various insurance companies to select the most relevant one for our clients. DNS customer support service is just a phone call or an email away; we ensure a prompt reply to all your queries. The Registered Office Address (ROA) is the address where a company/business officially and legally holds an office space. The Public Register of Companies at Companies House displays the ROA as the address next to the company name. It is mandatory by law for all businesses registered in England or Wales to have a ROA. The address for functional trading for a company need not be the same as the registered office address. All official correspondence (reminder, lease documents, account statements, etc.) with the Companies House (the UK registrar), the HM Revenue and Customs office and other governing bodies in England. The company’s directors and shareholders should be reachable by post at the ROA of the enterprise. The Company Registration Number must be printed along with the ROA on all types of company stationery (letterhead and invoices). Why should I choose DNS ROA Service? As part of our Registered Office Address (ROA) services for enrolled clients, DNS receives and forwards all correspondence via post, email or telephone. Such clients are provided with an on-call number which can be reached for emergency reasons even outside office hours. Whether the customer wants to redirect all mail (both official and non-official) to the ROA being maintained by DNS, he/she can purchase a Business Trading Address and then can enroll for the above-mentioned service as well. Nominal service charge to be paid on a monthly basis. The fantastic customer support service provided by DNS is available round the clock over the telephone if the client wants to check up on some important mail or correspondence. Stevenage, Chesham, Watford, Milton Keynes and Harpenden have recently acquired DNS regional centers on their turf. Amongst Small Business Accountants in Luton and IT Contractor Accounts in Luton, DNS Accountants is amongst one of the most trusted names.